Web traffic is one of the most discussed topics with regards to business and marketing. The world is currently obsessed with getting more and more traffic every day. In some ways, a good measure of how successful a site is begins with its web traffic levels. A website that’s getting millions of visitors every day will probably have more success than one that’s only getting a couple of hundred. The big question on everyone’s lips seems to be; why isn’t our site getting enough web traffic? How come our rival’s are getting way more traffic than we are? Some think the reasons behind this are complex, but they’re actually far simpler than you think. Keywords play a huge role in how much traffic you gain. The whole Google rankings system pretty much depends on keywords. By all means, there are loads of other ranking factors, but keywords will always be (arguably) the most important. If you’re using the wrong keywords, then you’ll find it hard to rank highly and gain traffic. The mistake many people make is they use too many keywords. It’s common to assume that the more keywords you use, the more chance you have of ranking highly. This isn’t the case, you need to be very clever with your keywords and choose things that are highly relevant to your business and your web pages. Don’t waste time on keywords that have no relevance, they won’t help you get traffic! There are so many websites out there that don’t offer anything different from any of their rivals. As a result, you’re going to struggle to gain as much web traffic as you want. It’s a competitive world out there, and you need to try and stand out from the crowd online if you want to succeed. Start a blog on your site, and you have a much better chance of gaining traffic. You can create original content and articles that other sites don’t have. You offer something different, and this will be reflected in how well you rank. It gives your site more chance of being found by people not specifically searching for your business services too. They could be looking for general advice, and your blog post provides it! 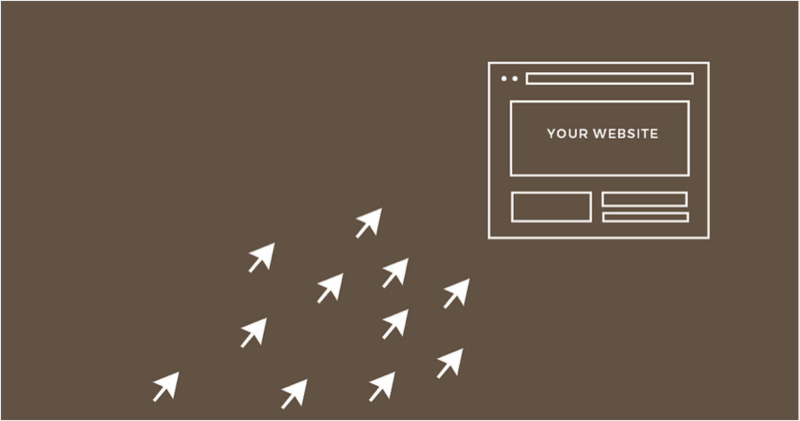 The number one reason you don’t get enough web traffic is that you don’t change anything. You can see your traffic is low and yet you make no attempts to change anything. Constantly check your analytics to see where the majority of your traffic is coming from. This allows you to see where you should switch up your efforts and what you should focus on more than others. The good thing is, you may have poor web traffic now, but you won’t have to live with it forever. You can turn things around in an instant and start seeing floods of web users visiting your site.